A kitchen update is often a good idea. No matter the size and overall theme of your kitchen, you can’t go wrong with ensuring you have what you need to take full advantage of what your kitchen has to offer. But where do you start? DreamMaker Batch & Kitchen of St. Louis Park offers a few suggestions. Organizing your pantry? Make sure you always find what you need next time by categorizing its contents and labeling your shelves. Don’t have a label maker? No problem! You can buy one or opt for ready-made stick-on labels. Want something you can reuse? You can check out chalkboard labels for that. Just wipe clean and they’re good to use again. Everyone likes natural light but it can warm up a room quickly, especially in a room with a stove and cooktop. Keep your cool by investing in window treatments. Natural textures look great in many kitchens, but be careful of covering up too much of your windows. Illuminate space as needed without traditional kitchen remodeling by investing in task lighting. Intended for a specific task, this type of lighting will brighten up countertops, cabinets, drawers and the sink easily without having to overhaul your kitchen’s entire lighting design. Although they are relatively small, faucets have a big impact on kitchens. Given the frequency with which you’ll be using a faucet, it makes sense to get a high-quality one that can help you get the job done in the kitchen. Want a more hygienic kitchen solution? Look for hands-free faucet models. 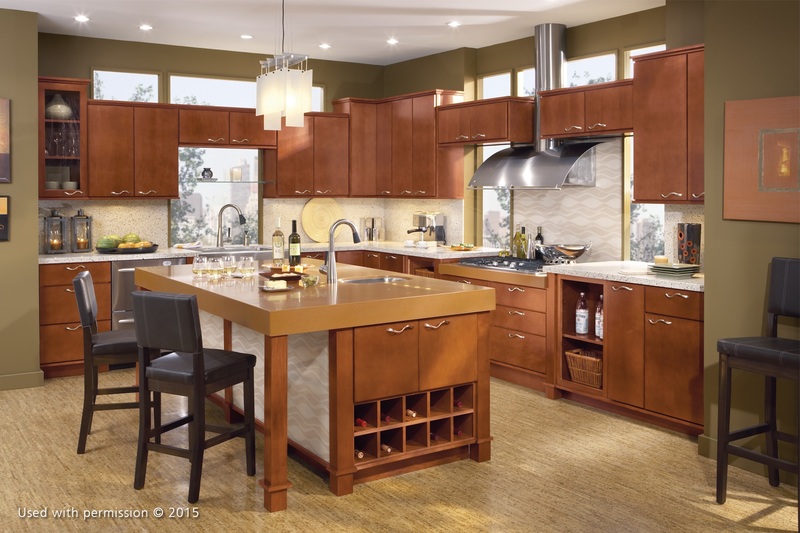 A bar or an island is a great way to create dedicated space in your kitchen for certain tasks. They don’t have to be big but can transform your kitchen big-time. Complete a contemporary kitchen remodeling project by adding touches of metal that will give your space a modern vibe. At DreamMaker Bath & Kitchen of St. Louis Park, we have you covered. To learn more about our award-winning kitchen design and construction services, you can get in touch with us by calling (954) 637-6386 or simply filling out our online contact form. Let’s start a conversation today! Should You Give Your Contractor the House Keys? Do Home Improvement Loans Qualify for Tax Deductions?